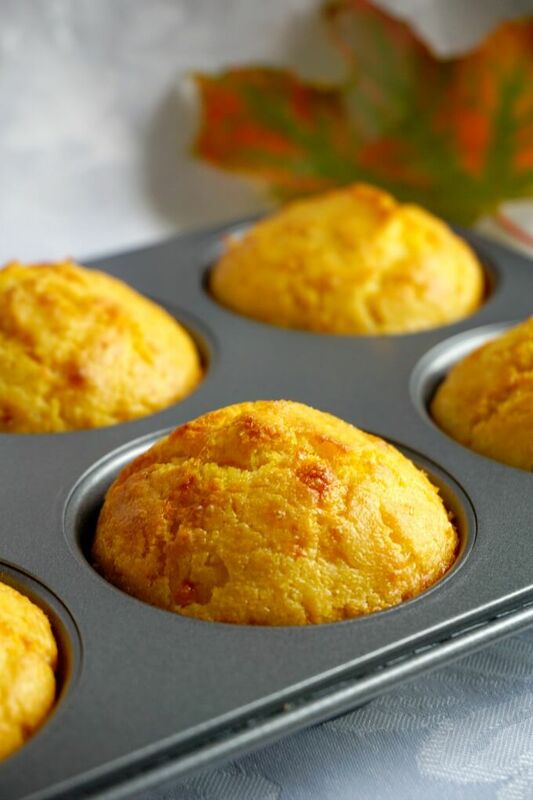 Savoury Cheddar Cornbread Muffins with a chilli kick, some seriously delicious vegetarian bites to make this Fall. They are ready in well under 30 minutes, and are a big hit on Game Day too. Muffins must be the easiest bites to whip up. 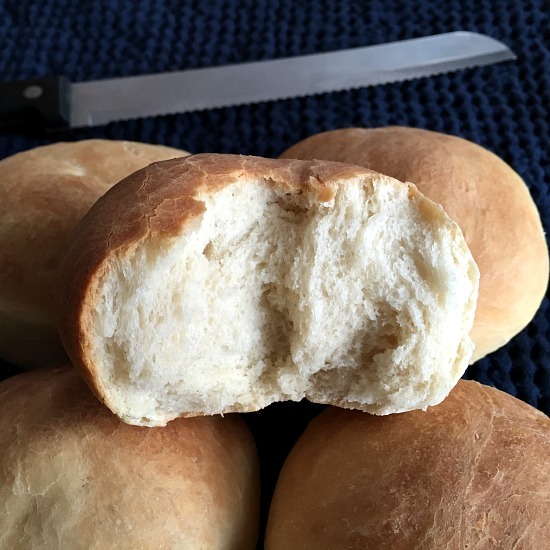 They hardly need any preparation, and can be made from scratch in about half an hour. Unlike the cupcakes, which can be pretty messy to carry around, muffins are the ideal on-the-go snack for all ages. 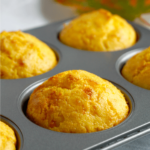 Now, these fabulous cornbread muffins, although can be adapted for kids, are actually a great snack for grown-ups. 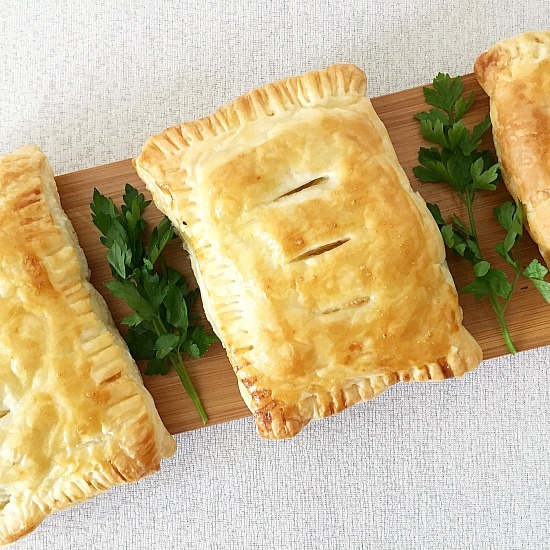 Fancy a little treat on Game Day, or are you after some awesome tailgating snacks? These savoury muffins are just perfect. My Cornbread Waffles with Bacon and Cheddar have earned their place on the table on a weekly basis, they are absolutely delicious, and are the perfect treat for breakfast, brunch or snack time. This time, I decided to go for a vegetarian cornbread snack, although you can add anything you like: bacon, ham, spring onions, jalapenos, any type of hard cheese, sweet corn or any other vegetables and so on. Can I swap ingredients to make savoury cornmeal muffins? 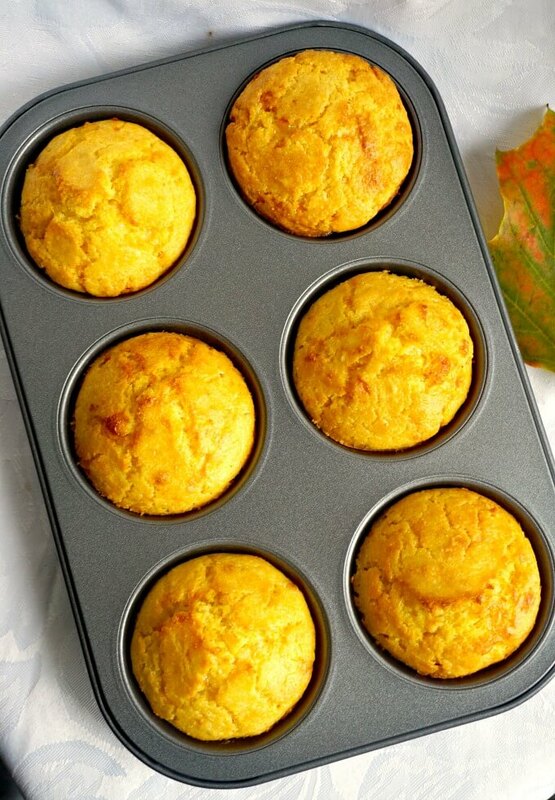 If you like to make these healthy cornbread muffins gluten free, you can swap the regular wheat flour with gluten free flour, the consistency should not change much. White the butter makes the muffins dense, if you decide to swap it with vegetable oil, they would have a fluffier consistency, but either way, they are baked to perfection. I absolutely love them with a nice cup of tea, and that’s the best sugar-free treat you can get. However, if you like the sweet cornbread muffins, the combo cornmeal and honey make some yummy muffins. You can also replace the regular milk with buttermilk for a richer texture. It’s really up to own taste how the muffins are tweaked, as long as the batter consistency does not change, they should turn out great. 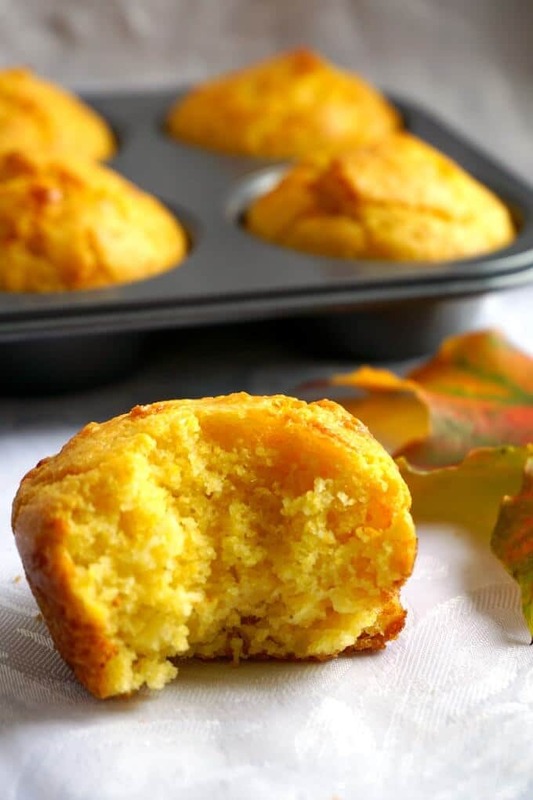 I know that cornbread tends to be very popular in Fall when we have the harvest season, but these muffins are great all year around. Do you like cornflour dishes? Which one is your favourite? 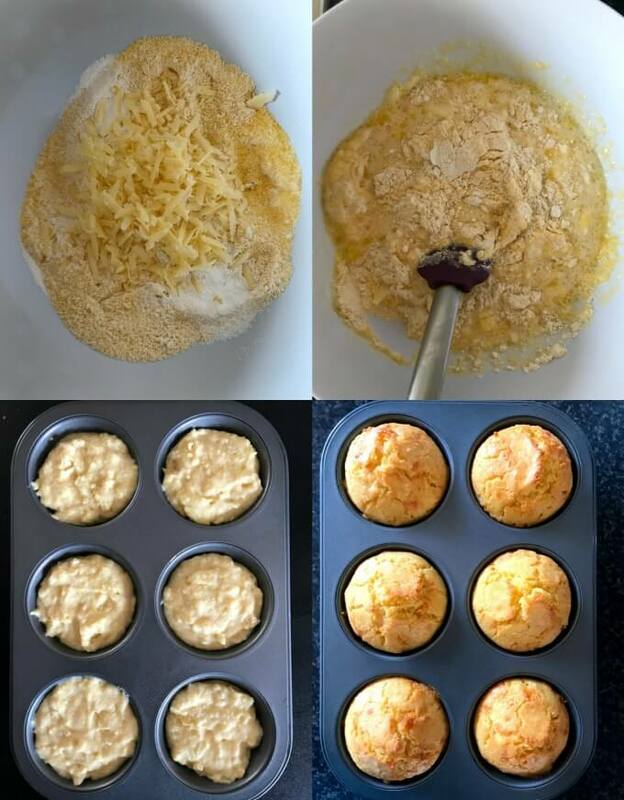 If you’ve liked my HEALTHY CHEDDAR CORNBREAD MUFFINS or any other recipe on the blog then don’t forget to rate the recipe and let me know how you got on in the comments below, I love hearing from you! You can also FOLLOW ME on FACEBOOK, and PINTEREST to see more delicious food and what I’m getting up to. In a large bowl, mix the cornmeal, flour, cheddar cheese, cayenne pepper, salt and baking powder. Whisk the eggs lightly, add the milk and cooled butter, and mix well. Pour the milk mixture over the dry ingredients, and mix to combine, without overmixing. Grease a 12-hole muffin tin or 2x 6-hole mufin tin with butter, divide the mixture evenly, then bake in the oven for about 20 minutes or until golden. Use a sharp knife to ease up the muffin edges, they should come out easily. h I forgot how much I love corn muffin ’til just now. Thank you, there are nice indeed!